Dayton is a city of contrasts and hope. At about 56 square miles, Dayton has a higher unemployment rate than the average Ohio city. At one time Dayton was an industrial center with bustling factories. NCR was the largest employer. Today, Miami Valley Hospital is the largest employer, and the factories have closed. Parts of the city have declined steadily, but other parts are becoming trendy urban areas. Dayton has always prospered with its spirit of entrepreneurship, and that hasn't changed. Named after Jonathan Dayton, a captain in the American Revolutionary War and signer of the U.S. Constitution, Dayton started with a small group of settlers in 1796 and became incorporated in 1805. Dayton is most widely known as the birthplace of aviation thanks to the persistence of 2 bicycling printers that lived in Dayton. At the same time the Wright brothers were making a name for themselves, their close friend, Paul Laurence Dunbar was making a name for himself as the first African-American to gain national recognition in Literature. Today, the Wright-Dunbar area is seeing tremendous revival with new development and enterprise. Earlier, Dayton gained prominence when the Miami & Erie Canal connected the town with Cincinnati. 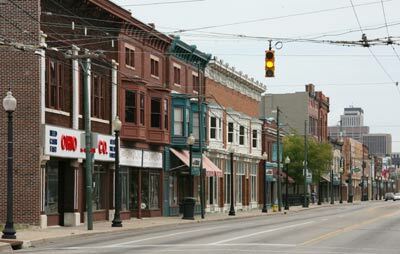 This connection allowed Dayton to grow and become an established community with connections to the rest of the world. The city has a rich heritage of inventions and innovations, with more patents per capita than any other city in the nation. Some of these inventions include the powered airplane, cash register, the stepladder, microfiche, waterproof cellophane, pop top beverage cans, the movie projector, space food, parking meters, the aircraft supercharger, the automobile self-starter, gas masks, and the parachute. They're as diverse as an authentically reconstructed Indian village and an art-deco-style showroom for classic cars, and the offerings are as eclectic as a bicycle made by the fathers of flight and priceless paintings crafted by master artists. 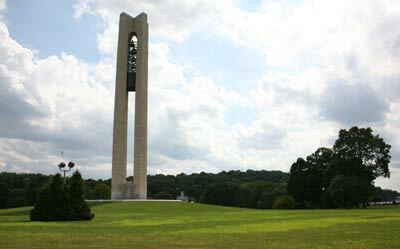 No matter how varied your interests, Dayton boasts a wealth of attractions that are sure to educate and entertain - making it one of the few places with enough destinations to appease both you and your kids. 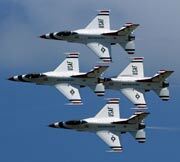 The Dayton Air Show features some of the finest aircraft in the world as well as static aircraft displays with more than 100 aircraft ground displays from the smallest to the largest including fighters, warbirds, and private aircraft. Usually held in July, the gates open at 9:00 a.m. and close at 6:00 p.m. Saturday and Sunday. 1164 East Dayton Yellow Springs Rd.